Posted By:Unknown | At:10:14 PM Be the first to comment! It's no secret that I'm a huge fan of 'Braxton Family Values' and 'Vince and Tamar'. 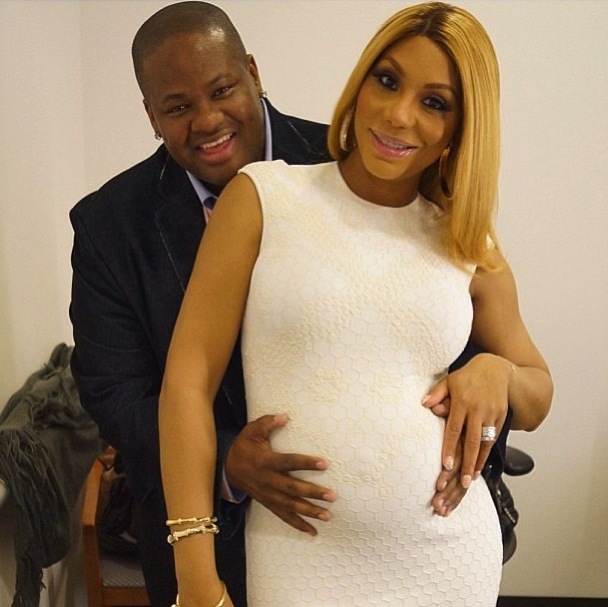 So I was over the moon when I found out that Tamar and Vince were expecting their first child. I would have posted earlier but this day job of my has your girl working in Illiniois working some crazy hours. If you watched the shows, as I do, then you know Tamar was pretty much against having the baby herself. She was all for getting a surrogate, but it looks like she relented and decided to carry the baby herself. Again, I want to say congrats to the happy couple. I'm sure this is going to be the focus of the next season of 'Vince and Tamar'. I'm sure Tamar is going to manage to have a drama filled pregnancy that is perfect for television.